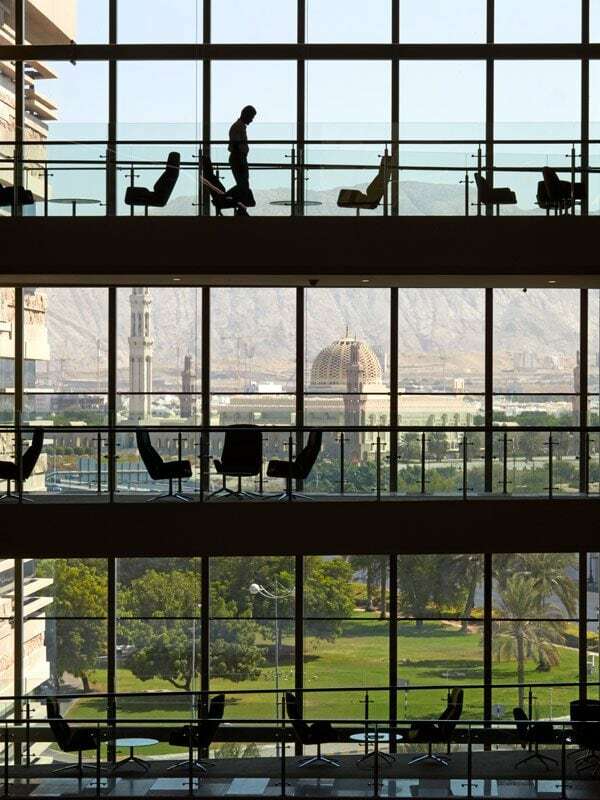 A contemporary head office building reflecting the landscape, architecture and culture of Oman. 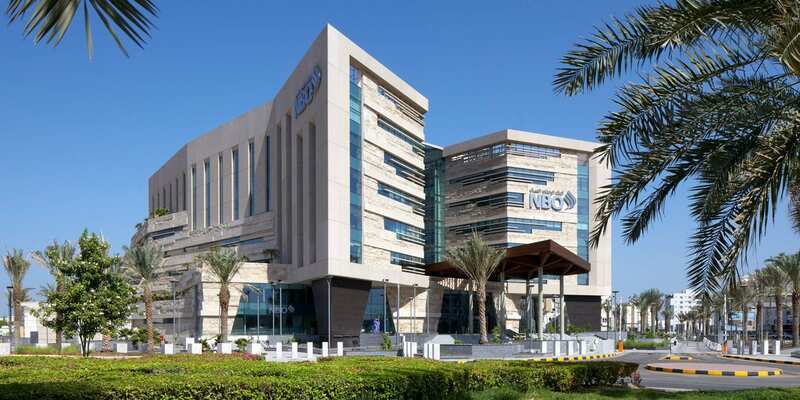 LOM architecture and design, FDP’s sister company, has completed the flagship headquarters building for the National Bank of Oman (NBO) in Muscat. 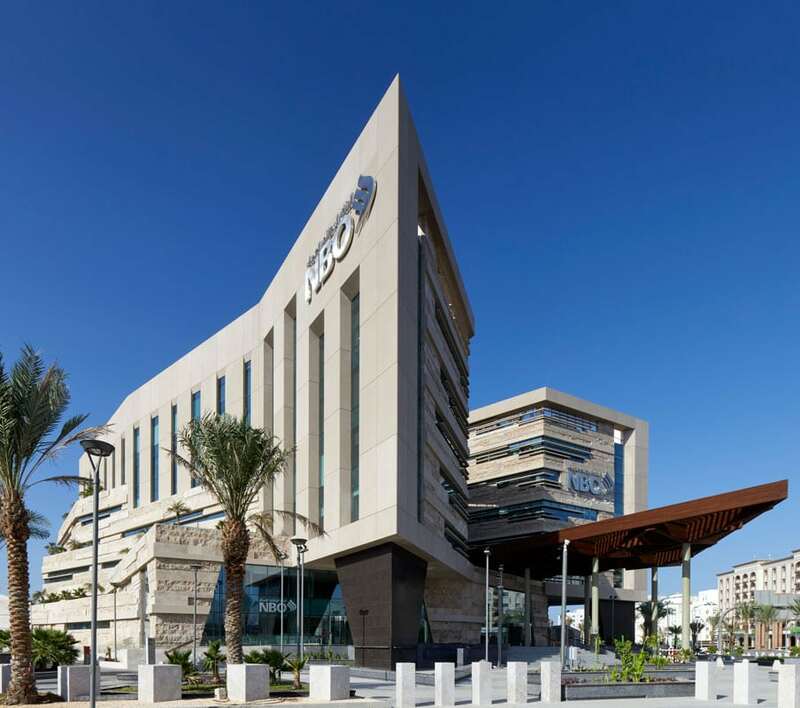 The dramatic structure – with a total area of approximately 50,000 sqm – stands on a prominent site on Al Sultan Qaboos Street, near the Grand Mosque and the city centre. The design takes its inspiration from the history and topography of Oman, reinterpreted in a contemporary idiom. 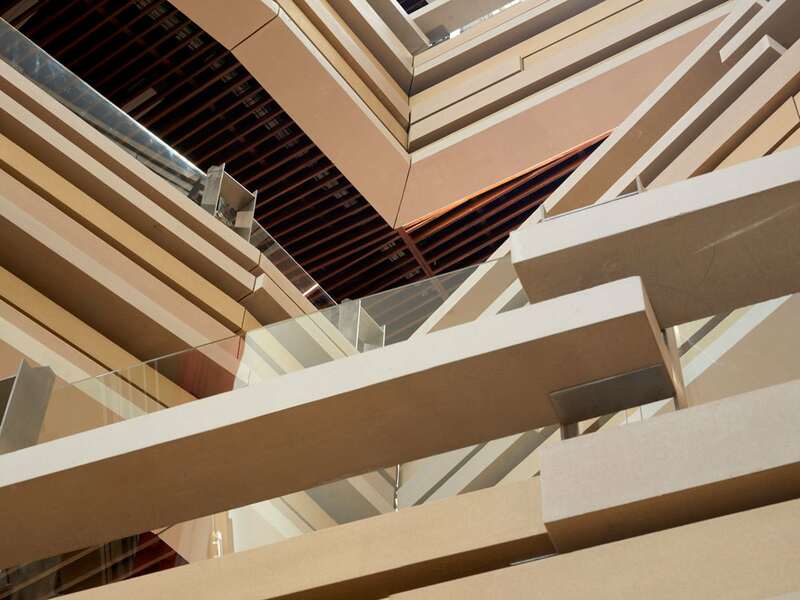 The atrium – inspired by Oman’s wadi gorges – delivers a series of dramatic internal spaces. These balance public access with security requirements to create a multi-functional facility that serves as both a staff resource and semi-public and event space. 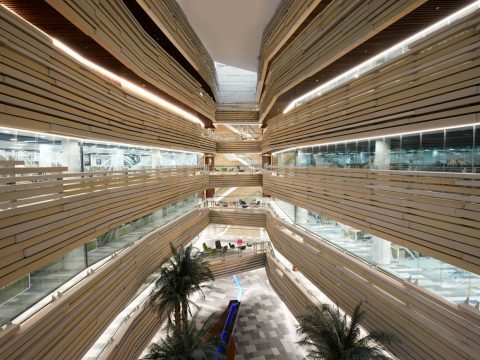 The building incorporates a boardroom suite, archiving facility, main vault, roof terrace, underground staff car parking, cafeteria and data centre together with workspace for up to 800 people. 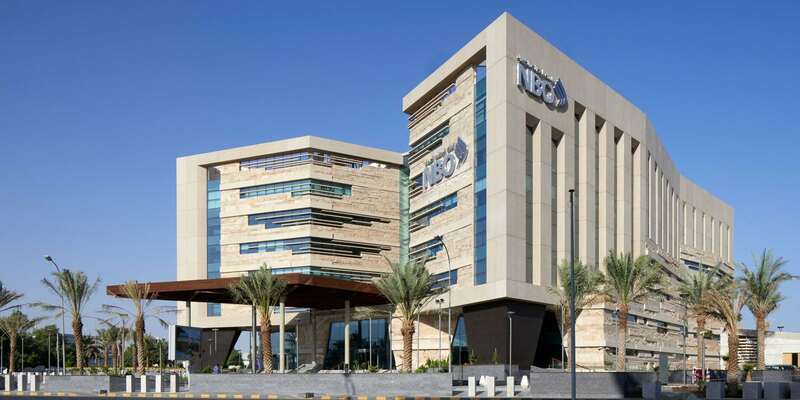 A bank branch is also provided, allowing NBO customers access to the head office building at ground floor level. 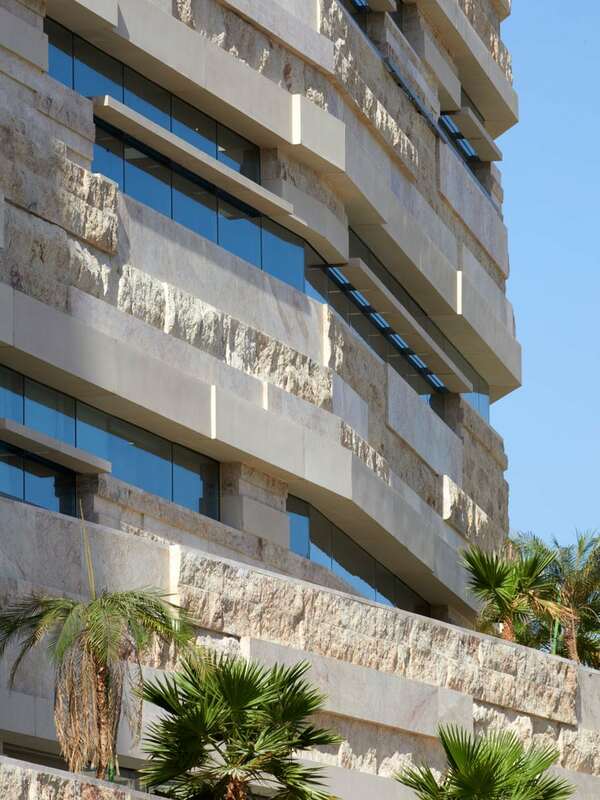 Externally, the building envelope changes at each floor level to create a natural, stepped profile, rising from a rough-hewn base to a clean, distinctive parapet line. 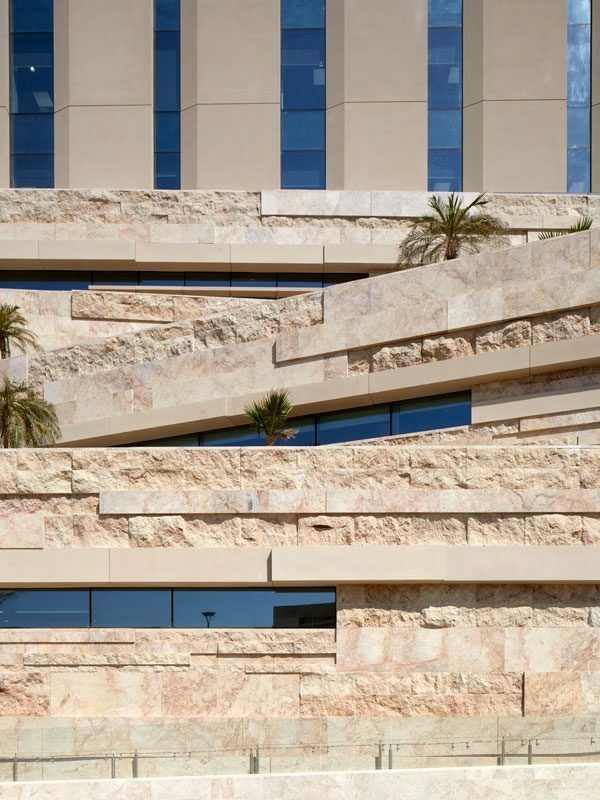 The design of the base – which comprises a load-bearing natural stone façade of terraces – reflects the terrain of the local mountainous landscape. Large, deep blocks evoke the qualities of a natural landform. 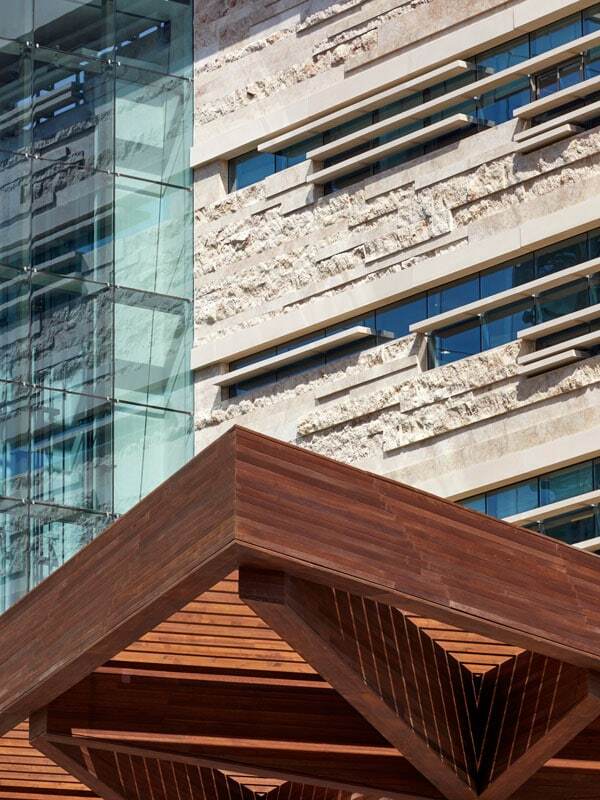 The façade of the upper floors – formed from a vertical precast panel system – is inspired by the architecture of traditional Omani forts such as Nizwa, Nakhal and Bahla. Generous planting overhangs various external terraces, creating a visible connection with the surrounding landscape. The landscaped area around the building offers a semi-public space for staff and visitors. 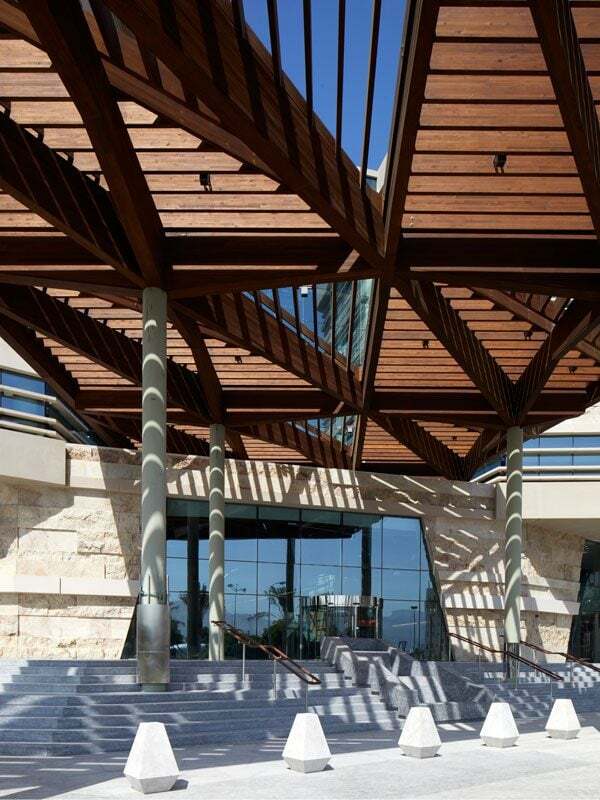 A large canopy shades the main entrance, inspired by the complex geometries of the fronds of nearly 100 palm trees which occupy the site and which will, over time, establish a dense, protective, natural shade. We worked with Buro Happold to deliver a façade system using traditional masonry techniques combined with a contemporary engineering approach which creates openings for deep ribbon windows and allows solar shading. The system uses a series of precast lintels supporting massive hand-set stone courses suspended off the frame of the building.